Best shishou is beat gift ever! Looks like Christmas is coming two weeks earlier this year. Great work on the set and lighting, it oozes comfy. Love the Medb in the background. This set up is just HNNNNGG! 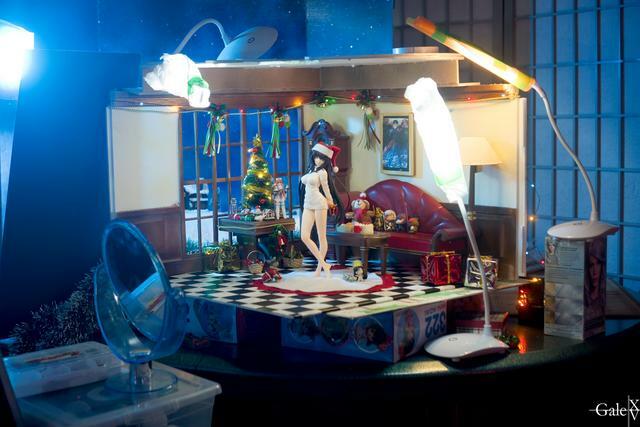 You always have a good diorama. You do ( PICTURE #1782653, PICTURE #1725305, PICTURE #2025729), but sometimes some of your photos have weird shenanigans. I feel that's your trademark but sometimes the random chibi stuffs that's do not really fit to your dioramas. fate/grand order duel collection figure?